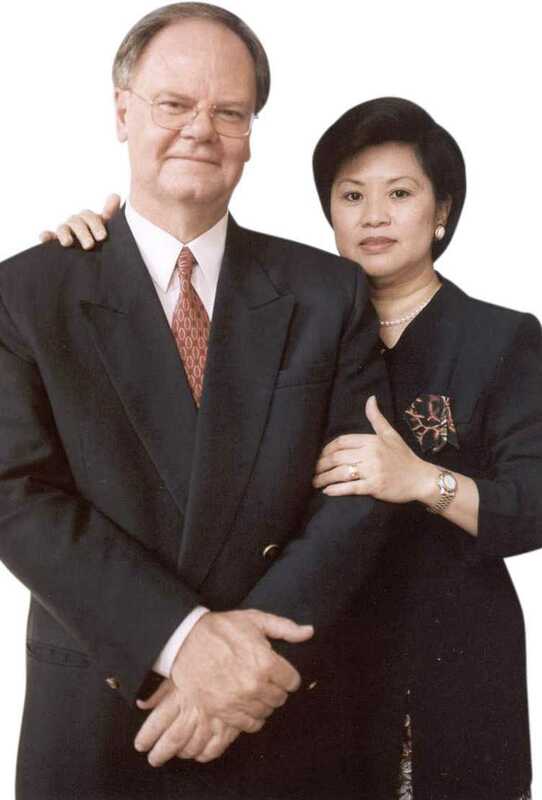 Ralph Parker, an Australian by birth and his Vietnamese born wife Linda, founded Vietnam Outreach in 1987. The Parkers, who married in 1975 focused on their engineering and other commercial enterprises until the mid 1980’s. Health concerns prompted Ralph’s decision to quit business. Their plan; to scuba dive the reefs of the world. Whilst they thought that was a good idea, someone else had a better idea. His name is Jesus of Nazareth. In 1986 the Parkers accepted Jesus Christ as Lord and Saviour. Whilst on a diving trip to an island in the central Philippines their lives were to change forever. It happened when the local police chief came asking for Linda’s help. The night before a boatload of Vietnamese refugees had landed. There were many dead, others dying. The Filipino’s couldn’t communicate with them, they needed Linda to interpret. It was going to be two weeks before the United Nations High Commission for Refugees could send a boat to take them on to the refugee camps. The residents of that small town were poor, they were unable to help the surviving 69 refugees. So in 1987 the Parkers returned to Vietnam. Initially they helped orphans with Vietnam Outreach opening its own orphanage. The work quickly grew to include health care development as the Lord released enormous volumes of medical supplies and equipment. Soon the ministry had assembled a team of Christian medical professionals. They came from several countries and commenced providing substantial training in many areas of health care in conjunction with Vietnam’s Ministry of Health. The work continued to expand. The typhoons that plague Vietnam saw the launch of disaster relief efforts feeding tens of thousands. The plight of thousands of handicapped children in Vietnam saw a project initiated to provide free surgery. Recently, the ministry has expanded yet again with a micro development program, giving financial grants to rural families crushed by poverty. Since 1987 the ministry has continued to fulfill it’s Isaiah 61 calling. For more information, click on projects Hope, Luke, Manna, Joseph and Living Waters . Bringing hope to the sick, the poor and the hurting.